Lying on a Resume: What's the truth about your candidate? Back in 2010 we posted an article about resume lying, including a list of the most common lies found in resumes. You might think this would not be such a serious problem with today’s sophisticated background screening technology (facts can be checked! ), but applicants continue to pad their experience full speed ahead. Whether it’s the consequences of a competitive job market or some broader cultural factor, lying on a resume is highly common. Recent research has found that 53% of resumes and job applications contain exaggerated/falsified information. 70% of college students admitted they would falsify a resume to get a job they wanted, and 13.6% of 18,000 respondents in a survey by AOL-Jobs said they had already falsified their resumes. No wonder so many HR managers have detected applicants lying on their resumes. A quick Google search for “lying on a resume” turned up the usual 149 million results, but the top ones were revealing. In the first place, the motivations for lying on a resume are very similar to what we reported three and a half years ago. The truth is, many lies can be discovered through verification. It’s also important to recognize that lies are often part of a pattern in the applicant’s behavior. When is a lie a lie, and when is it just a point of view? We cannot answer this question, but there is a grey area, as shown in our quick review of online resume advisors. To be fair about it, the vast majority of online resources in our research advise applicants not to lie. But lie they do, and there are a few sources out there that give them ideas about how to “stretch the truth” or present just the best part of it. These advisors make sure to tell their readers not to lie outright, but they then proceed to give them tips on how to selectively use information to present themselves in the best light. Whether this is lying or not, it does obscure the full picture of an applicant, and hiring managers need to be aware of it. One resource we found advises applicants, “Don’t include your entire work history” because it may make you wrong for a position. Well, yes, it might. And that’s why you need to verify the timelines in a resume to help uncover the truth about prior experience. Applicants will always write their resumes to give themselves the best chance to get a job. And even though we can easily say that it is just wrong to lie, there is a continuum in how people present themselves in resumes. 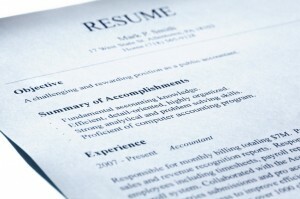 Employers can and should check the facts presented in resumes. But they should also use every other source of information background screening can provide to build a complete picture of an applicant. When all the data reinforces a consistent picture, you can have more confidence in that applicant. Hire away!